The Blue-ray association doesn´t give up and has just announced that in the next months they will release a new standard of Blue-Ray discs. This new development will be known as BDXL, and its main feature is that those discs are capable of storing up to 128 GB. If you just thought about a direct application for the cinema in 3D or of higher quality, for the moment, the ambitions of the Association is promoting the use of this format for backup copies and data backup in corporations and afterwards at home, even though in the later the trend is hard disks and flash memories rather than optical units. The forthcoming discs will have capacities of 128GB in their writable versions and 100GB for re-writable discs. They will be composed of 2 or 4 layers. As it happens quite often, these discs will be compatible only with the disc burners released to sale after this new specification, leaving the current models and the ones to be introduced in a few months as obsoletes if we want to use these BDXL as backup copies system. At least if we will be able to read the current discs in the future disc burners. 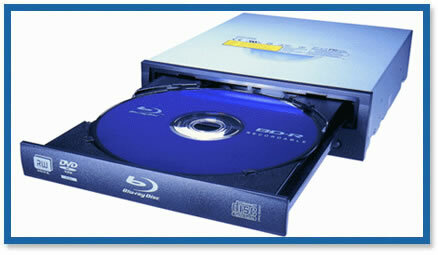 Another format on the way is Blue-Ray IH-BD, whose discs will have a part writable and another part rewritable..